Thomas Jefferson said "When the people fear the government there is tyranny, when the government fears the people there is liberty." Reports on April 22, of large numbers of federal agents, including tactical teams from BLM, the Forest Service Rangers and others, are amassing at the Courtyard Marriott on Convention Center Drive in Las Vegas has many Americans concerned if a swat-style raid on the near-by Bundy Ranch is imminent. On Saturday April 12, 2014, BLM backed down from the escalating confrontation at the Bundy Ranch near Bunkerville, Nv. The bureau's director Neil Kornze issued this statement regarding the stand-down. 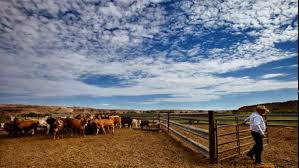 "Based on information about conditions on the ground and in consultation with law enforcement, we made a decision to conclude the cattle gather because of our serious concern about the safety of our employees and members of the public," Kornze said in an issued statement according to Reuter's News. After a video of BLM agents tasering and intimidating protestors revealed the aggressive level of police tactics to viewers across the internet, supporters started showing up in droves. Local friends and family made up the original group of protesters supporting Bundy's plight against the BLM tyranny. Americans became concerned with BLM's agents aggressively trampling over Bundy's rights started descending to the high desert ranch. Militia members from many states including California, Idaho, Florida, Colorado, Texas, Utah and far-away New Hampshire showed up armed and ready to counter any federal aggression. Two groups composed of sheriffs and law enforcement personal; the Constitutional Sheriffs and Peace Officer Association and Oathkeepers reports that many members were also concerned with militarized federal agencies bullying tactics. CSPOA and Oathkeeper members vowed to seek a peaceful resolution to the conflict and were traveling to Nevada to stand with Bundy until it is resolved. The law enforcement officers and armed militia members standing with Bundy were likely deciding factor in the BLM backing off their aggressive stance against Bundy and his ranch supporters. Thanks to those many people that stood with Bundy, especially the police officers and militia members! Although BLM has shut-down the cattle round-up for now, the federal agency vows to continue the legal actions against Bundy. The BLM claims Bundy owes $1.1 million in unpaid grazing fees, but according to various reports BLM was spending $1-3 million just to round-up Bundy's cattle using contract cowboys, helicopters and other equipment. This is another fine example of government spending policies, spend $3 million to recover $1 million in unpaid fees. That's obviously cow leavings. For now at least, BLM has released back to Bundy, the cattle they had already rounded up in an expensive and poorly thought out operation against another rancher. U.S. Senate Majority Leader Harry Reid (D-Nev.) weighed in calling the Bundy supporters "terrorist." “Well, it’s not over,” Reid told KRNV. “We can’t have an American people that violate the law and then just walk away from it. So it’s not over," according to Personal Liberty Digest. American citizens shouldn’t violate the law, Paul agreed— however, the government shouldn’t either, especially with heavy-handed tactics. “I think there’s an opposite thing to what Harry Reid said, and that’s the federal government shouldn’t violate the law, nor should we have 48 Federal agencies carrying weapons and having SWAT teams,” Paul said Tuesday in a radio interview with the Kentucky-based WHAS. It should also be mentioned that main stream media outlets had little coverage of this confrontational stand-off, until it was basically resolved. Alternative news sites gave this incident the attention it deserved, with a federal agency using aggressive and bullying tactics to force another independent rancher out of business. The real question is what is the real agenda for this land grab and who is BLM really controlled by both remain to be answered! Retired Judge Napolitano states that this case should have been tried in state courts, and BLM trying to seize Bundy's cattle and land was a heavy-handed approach to resolving the grazing fees owed. According to Napolitano, BLM should have filed a lien against the property, rather than conducting a swat-style raid and abusing peaceful protestors. That is, unless they want the land immediately for some unstated purpose such as a solar power generating facility involving Chinese energy firm ENN and U.S. Senate Majority Leader Harry Reid of Nevada, (D), which seems to be surfacing in the aftermath of the conflict. Bureau of Land Management agents tasered peaceful protestors at the Bundy Ranch in Bunkerville, Nv. on April 10, 2014. Local protestors supporting the Bundy ranchers are incensed at the federal agents brutality against them. Aggressive tactics done merely for wanting to protest within view of the ranch, to avoid allowing agents to victimize local citizens in a way similar to Waco or the Ruby Ridge standoff. Several individuals protesting were either tasered or pushed to the ground for non-compliance or for taking photos of the police brutality. 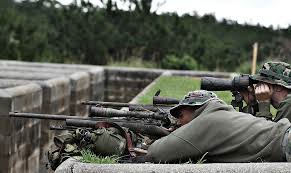 Over a 200 federal agents are reported to be surrounding the Bundy Ranch including snipers and attack helicopters. Agents set-up a command post to round-up the ranchers 500 to 900 cattle and apparently sell or destroy them. This is after a 20-year dispute in which BLM demanded that Bundy stop grazing his cattle on what is now federal land. That is despite the fact that the Bundy's have grazed cattle on these lands since the 1870's, long before the BLM even existed. According to the BLM, Bundy quit paying fees for grazing his cattle on these lands and now owes $1.1 million dollars in grazing fees. In 1993, BLM reclassified 600,000 acres of Nevada land, including the land that the Bundy's cattle had been grazing on for over a century. The land was reclassified to protect an "endangered desert tortoise." BLM agents ramped up their aggression for 'non-compliance' when protestors refused to stay inside a fenced off "First-Amendment" zone that federal agents had established. Free speech in support of Bundy outside of this zone is banned and non-compliance is met with brutal police tactics, including a pregnant woman being thrown to the ground, several men being tasered or being arrested. Did BLM and the feds just bite off more than they can chew? It appears so! Local supporters fed up with federal agents trampling on people's constitutional rights force a dozen BLM agents to leave from where protestors had gathered. Protestors had assembled at the spot where dump trucks and front end loaders had parked to load the cattle federal agents were planning to kill. Local supporters are determined to stop such a blatant over-reach of federal law enforcement officials. Is the BLM or other government agencies out of control with aggressive tactics? No, there just doing their job. No, just a few of their agents are rogue agents, making the agency look bad. Yes, many law enforcement agencies are out of control and need to be reigned in. Our government agencies and their agents, the politicians and all their corrupt corporate and corrupt bankers need to be held accountable. Not really, it's just a paranoid conspiracy theory. The question is no longer does Clive Bundy owe large unpaid fees for grazing his cattle? Bundy admits that he does. The real question is why federal BLM agents feel they are unaccountable to the law by violating not only Bundy's rights, but the rights of the peaceful protestors and members of the media? established pattern of behavior in incidents even prior to 9/11. Incidents dating back to Kent State University, Ruby Ridge and Waco with the killing of many innocent Branch Davidian women and children. This forcing of ranchers and farmers out of business to steal their property is also a pattern established throughout this area with 53 ranchers already succumbing to BLM high-pressure tactics. The Bundy Ranch is just the line in the sand being drawn by Bundy and supporters who are aware of this federal tyranny, as it should be. Bundy is the last rancher standing in the region! The American people are not going to allow this pattern of over-aggressive government behavior without accountability to persist. As Judge Napolitano rightly states, the BLM had already won the issue of the grazing fees owed by Bundy. All they had to do was file liens on the property and they would be paid upon sale of the property or upon Bundy's death. But when the BLM director is a crony of corruption with his former boss, Senator Harry Reid, who wants the land now for ENN's use as a solar energy facility, the fees and desert tortoise are only the smoke and mirrors for their real agenda. Waiting for the fees isn't the end game, stealing the land to either give it or sell it to a Chinese company is the end game. It's past time for real investigative citizen and alternative journalists to continually expose the criminal corruption that is rampant throughout both political parties and all federal agencies. The American people need to demand accountability for these corrupt criminals and send them to prison, where they belong. No retirement benefits, no federal golf course vacation prisons, no passes. Only then will we get politicians that act according to the Constitution and the laws of the land. 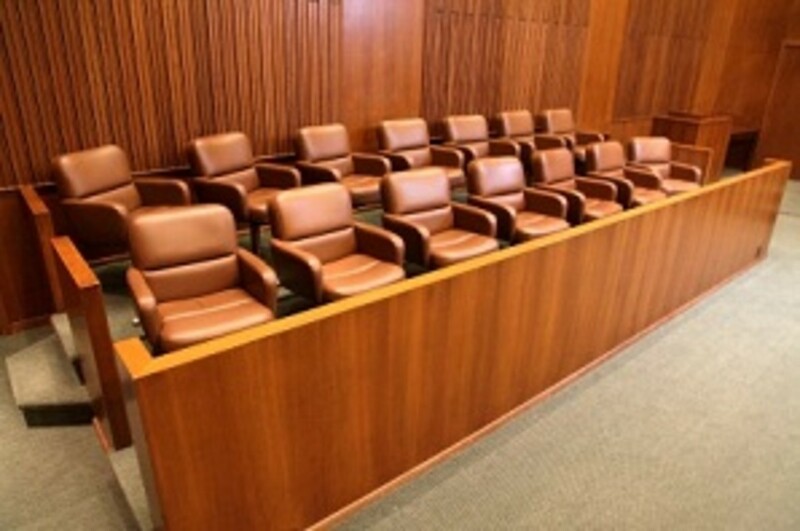 No state or federal agents immune to prosecution for crimes committed. No too big to fail banks, no too big to jail politicians or bankers. According to Napolitano, BLM should have filed a lien against the property. That is, unless they want the land immediately for some unstated purpose such as a solar power generating facility involving Chinese energy firm ENN and U.S. Senate Majority Leader Harry Reid of Nevada, (D), who's son, Rory Reid are involved with ENN in a planned solar facility, according to a 2012 Reuter's article. Evidence is now surfacing from Google's cache of BLM documents indicate that the planned solar energy farm was the real motive behind BLM's removing Bundy's cattle off the land. Senator Harry Reid and his son Rory Reid both have ties with ENN, and BLM's director, Neil Kornze was formerly employed by Harry Reid as a senior advisor. Harry Reid also used his connections with Kornze to change the desert tortoise's habitat to accommodate a development of a top donor, Harvey Whittemore. Whittemore was coincidentally convicted of illegal campaign contributions to Senator Harry Reid, according to the Huffington Post. Reid is now viewed by many as using Kornze to gain control of Nevada lands by pushing farmers and ranchers off to pay back special interests and to procure land for projects involving corrupt cronies. Bundy paid grazing fees for years to Clark County, Nv., long before BLM existed. BLM later took over management of these lands and changed the arrangement without consulting Bundy or any other rancher. They then began to drive out ranchers, cattle and farmers, it was apparent that BLM wanted the land for other uses. When BLM demanded that Bundy reduce his herd from 1000 head of cattle to 150, it was at this point that Bundy refused to pay any more fees to BLM. 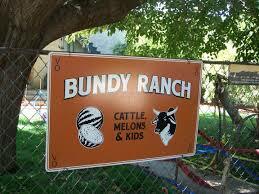 A herd of 150 cattle isn't enough to even sustain a small ranch, according to Bundy. Bundy claims he owns title to the lands in accordance with BLM title 1 claims, in that he improved the land with access roads, fences and waterways. Why in the world would we allow Chinese firms to gain control of America's energy sector? Corporations that could be communist controlled have no business owning our energy or food production sectors. I'm just saying, it almost sounds treasonous, but certainly stupid. Oh, the criminal ties that bind our corrupt politicians together should also manacle them together on the way to federal penitentiaries. What happened to the good old days, when the citizens would band together to tar and feather the criminal politicians to then ride them out of town on a rail. It's way past time for all these corrupt politicians to be held criminally accountable for their actions and denied any benefits for their years of stealing from government coffers, homes, businesses and land from those they were supposed to represent. Who was it said that, "The government steals what they want and then they tax the rest."? Bureau of Land Management agents tasered protestors at Bundy Ranch in Bunkerville, Nv. on April 10, 2014. Local protestors supporting the Bundy ranchers are incensed at the federal agents brutality against them for protesting within view of the ranch to avoid allowing agents to victimize local citizens in a way similar to Waco or the Ruby Ridge standoff. Several individuals protesting were either tasered or pushed to the ground for non-compliance or for taking photos of the police brutality. 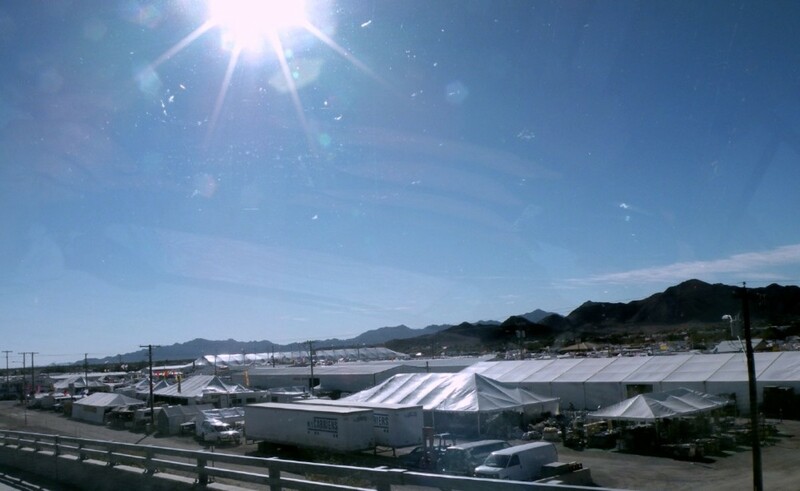 Over a 200 federal agents are reported to be surrounding the Bundy Ranch including snipers and attack helicopters. Agents set-up a command post to roundup the ranchers 500 to 900 cattle and apparently destroy them after a 20 year dispute in which BLM demanded that Bundy stop grazing his cattle on what is now federal land. That is despite the fact that Bundy's have grazed cattle on these lands since the 1870's, long before the BLM even existed. According to the BLM, Bundy quit paying fees for grazing his cattle on these lands and now owes $1.1 million dollars in grazing fees. In 1993, BLM reclassified 600,000 acres of Nevada land, including the land that the Bundy's cattle had been grazing on for over a century. The land was reclassified to protect an "endangered desert tortoise," and that is when Bundy quit paying grazing fees. BLM agents ramped up their aggression for 'non-compliance' when protestors refused to stay inside a fenced off "First-Amendment" zone that federal agents had established. Free speech in support of Bundy outside of this zone is banned and non-compliance is met with brutal police tactics, including an older woman being thrown to the ground, several protestors being tasered or being arrested. Did BLM and the feds just bite off more than they can chew? It appears so! Local supporters fed up with federal agents trampling on people's constitutional rights force a dozen BLM agents to leave from where protestors had gathered. Protestors had assembled at the spot where dump trucks and front end loaders had parked to load the cattle federal agents were planning to confiscate. Local supporters are determined to stop such a blatant over-reach of federal BLM enforcement officials. Video of these aggressive BLM attacks went viral and can be viewed on YouTube at BLM agents attack against peaceful protesters at Bundy Ranch. Many Americans who believe in individual rights according to our nation's Constitution are angry and calling for armed supporters to "draw a line in the sand" at the Bundy Ranch. According to reports from the SHTF website more than 5000 armed militia members from various states are heading to Bunkerville to ensure that federal agents end this confrontation before it escalates into more violence. Protestors and the media are incensed that the federal agents set-up free speech zones so far away that the ranch was no longer within view. Was this to allow agents freedom to brutalize another family away from witnesses? Americans concerned with federal law enforcement agent's brutality have had their fill. Any push back by the feds could trigger an avalanche of resentment, anger and violence. Think that it couldn't happen in America, think again! While I'm not encouraging armed revolution, our Constitution does indeed state that citizens have a responsibility to revolt when government is tyrannical or out of control. Look out people. American Spring can indeed happen. Now we know for sure why the feds have stockpiled almost 2 billion rounds of ammunition. View the additional video at this link to see reported militia members encouraging fellow members to support Bundy with plans for weapons and supplies needed for this endeavor. Due to the attention already around this event, the federal agencies had better cease and desist before thousands, or more Americans descend on Bunkerville, Nv. Local CBS news channel from Las Vegas reports that militia members from Florida, Texas, Montana, Utah and as far away as New Hampshire are heading to Nevada to stand with Bundy against the BLM. Some members have already arrived, according to the CBS reports. Brian Sandoval, Nevada's governor has weighed into this ranch fray. "No cow justifies the atmosphere of intimidation which currently exists nor the limitation of Constitutional rights that are sacred to all Nevadans and Americans," Sandal stated, according to the CBS recent reports on the Bundy Ranch situation. Sandoval and many others are righteously incensed over armed federal agents trying to corral citizen protestors and the media into fenced-in "First Amendment areas" south of Mesquite. These aggressive actions by federal agencies might ignite sparks that rage out of control by continuing to harass a rancher and his many supporters. Those federal officials that take oaths to the constitution to serve and protect American citizens stated that BLM and others have continually exhibited a pattern of heavy-handed and tyrannical policing practices that need to be reigned in. Americans of all races, political parties, and economic and social status have had enough. If not, things could spiral out of control real fast, be prepared! Thanks for the comments. Yeah, that first video of the BLM taseing people simply for refusing to stay in a "free speech" zone three miles from the ranch. Why? So the BLM could do their SWAT raid without witnesses? There are also verified reports of BLM snipers trained on Bundy family members, until militia members did the same to them. The way that I heard it described on the radio here in California they approached the protestors with guns out. That would seem to be a bit of overkill to me. Thanks for your insightful comments on this article. You are absolutely right, these corrupt politicians are doing in plain sight what they only did in the shadows. This incident was close to being the shot heard around the world. It already is the incident that brought thousands of Constitutional police officers and law-abiding militia together to support another victim of federal tyranny and abuse at all costs. It's time for the pendulum to swing back and for our politicians to fear both the people and accountability for their actions. Informative and scary. Have we lost our country? Some politicians have always been crooked but today they are openly flaunting their disgusting illegal activities. The politician no longer fears the citizen. Perhaps this case will be the beginning of swinging the pendulum back. I pray it is. great write up. Thanks for your comments on this hub. It's obvious that BLM thinks he owes them the grazing fees. Bundy admits that he quit paying the fees after BLM was working first to limit the number of cattle to 150 andthen trying to push him off the land. What I believe on whether he owes the fees is irrelevant. You are missing the point here Ralph, it's not the fees owed to BLM. You and I might both agree that someone owes money to the courts or to the mafia. But if they come and destroy your property, or break your bones, or threaten your family, it's another matter. Wouldn't you agree? The issue now is, these corrupt politicians and federal agencies are being used to acquire land for use by their criminal masters, as evidenced by BLM documents implying such. You have to actually look into a matter before you decide. Wouldn't you agree? Your final comment is exactly what both Bundy and his supporters are saying to BLM. Give me a break. It's obviously not about BLM collecting the fees, or they would file liens and wait to collect their money. It's about stealing land and pushing a rancher off it, so they can allow it to be used or sold to ENN, or whoever they are acquiring it for. Thanks for your comments though Ralph. Thanks for your comments. We are the serfs with no rights, while they are the "Lords." It's all about stealing land for their political benefactors, controlling energy for foreign interests, controlling food producers and suppliers, and taking guns from everyone not attached to government. The as the Bible says, "Who can make war with them." Just curious, don't you believe that Bundy owes the grazing money? If you agree he owes the money, any suggestions on how to get him to pay? The Bureau of Land Management are "corrupt bullies" for attempting to collect overdue grazing fees required by law? Gimme a break. Just think, if a citizen was allowed no guns? No wonder they want them all. I am not saying Bundy is right and shouldn't have been paying something but it doesn't look to me to be a federal concern unless they do indeed have a hidden agenda. Government by the people in this country is the biggest laugh there is. I am glad to see anyone stand up to the corrupt bullies.